Opening Reception: December 3rd, 6:00 - 8:00 p.m. Faculty in Community Arts at Montgomery College will exhibit artworks in various media. This exhibit showcases the wide range of talents that come together in the program. Gallery Hours: Sunday - Saturday, 10 a.m. - 10 p.m. Opening Reception: Thursday, October 29, from 4:00 to 6:00 p.m.
Jerry Truong’s School Works examines the political implications of the American educational system through large-scale blackboard-like paintings and sculptures that utilize objects typically found in a grade school classroom. These objects range from plastic chairs and overhead projectors to signs that display summaries of notable teaching philosophies, items the artist sometimes finds through Craigslist or surplus and thrift stores. Truong’s Fall 2015 exhibit is making a five-week stop at Northwestern’s Dittmar Memorial Gallery from Oct. 29 through Dec. 6. The gallery is located on the first floor of Norris University Center on Northwestern’s Evanston campus. November 18, 2015 @ 7:00 p.m.
Are you unsure what you should write or even how to begin composing your artist statement? Learn some strategies to help you communicate your concepts and process, organize your ideas, and draft a compelling statement that will aid your art practice. If you already have a statement, come have it vetted and tightened. There will be discussion of language, style, and audience. Whether you’re starting from scratch or polishing an existing piece, discover strategies that will allow you to craft a statement that effectively embodies your creative visual output. For more information, contact Kirsten Hein at kirsten.hein@pgparks.com. Gallery Hours: Monday - Thursday, 9 a.m. - 8 p.m.; Friday, 9 a.m. - 3 p.m. Reception: Thursday, October 15, from 6:00 to 8:00 p.m. This annual art exhibition reveals the diverse interests and proficiency of our multi-talented faculty at Prince George's Community College. Dedicated to the art-making process, as well as teaching, the art faculty produces professional art and exhibits extensively in various media including ceramics, computer graphics, drawing, painting, photography, and sculpture. Many artworks are available for purchase. 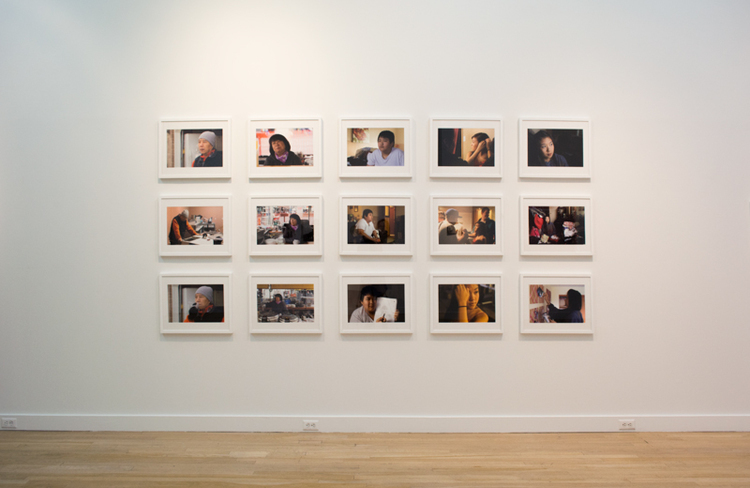 Opening Reception: Saturday, September 12, from 6:00 to 8:00 p.m.
Country, Home is an exhibition of multiple narratives by differing immigrant and first-generation American artists, exploring the particular tensions and challenges of these culturally and socially under-recognized groups. Most importantly, the exhibition is about social issues and art. Country, Home is an elusive phrase, a question about the strength of the words themselves – does country constitute home? If not home, then country? The work presented falls somewhere in between. It addresses the preconceptions and assumptions of locationism and nationalism – the parts where the American dream falls flat for most “others” – where the presumed achievement of being in America contrasts with expectations. The exhibition does not aim to produce a survey-view of multiculturalism. Instead, the exhibition gathers different voices in a seemingly non-directionally heavy-handed way, much like the experience of the American “melting pot” of mixed immigrant cultures. No one immigrant/immigrant-born artist experience is exactly alike, and this exhibition embraces that reality and translates it into visual narrative form. Seemingly unrelated artists and forms are juxtaposed to reveal narratives of outsider isolation, economic position, documentary and identity, and navigation. Opening Reception: Thursday, July 16th, from 6:00 to 9:00 p.m. The Sondheim Artscape Prize awards a $25,000 fellowship to assist in furthering the career of a visual artist or visual artist collaborators living and working in the Greater Baltimore region. For 2015, 54 individual artists and two artist teams were selected as semifinalists. An exhibition of the semifinalists’ work is shown in the Decker and Meyerhoff galleries of MICA. Artscape is America's largest free arts festival, attracting more than 350,000 attendees over three days. Artscape features 150-plus fine artists, fashion designers and craftspeople; visual art exhibits on and off-site, including exhibitions, outdoor sculpture, art cars, photography and the Janet & Walter Sondheim Prize; incredible live concerts on outdoor stages; a full schedule of performing arts including dance, opera, theater, film, experimental music and the Baltimore Symphony Orchestra; family events such as hands-on projects, demonstrations, competitions, children's entertainers and street theater; and a delicious, international menu of food and beverages that is available throughout the festival site. Opening reception: Friday, February 13th, 7:00 to 9:00 p.m. Artist talk & closing reception: Sunday, March 8th, 5:00 p.m.
Casey Snyder, Brendan Smith, Jerry Truong, Michael Booker, Megan Maher, DeLesslin George-Warren, Fabiola Alvarez Yurcisin, David Ibata, Jerome Skiscim.